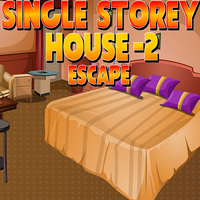 Description: This is the 499th escape game from enagames.com. Assume that you are living in a single storey building which has many rooms. One day your family members locked the entire house and went for shopping. You are stuck inside the house and need to escape from the house by finding the door access card. Click on the objects to interact with them and solve simple puzzles. Play enagames and have fun!